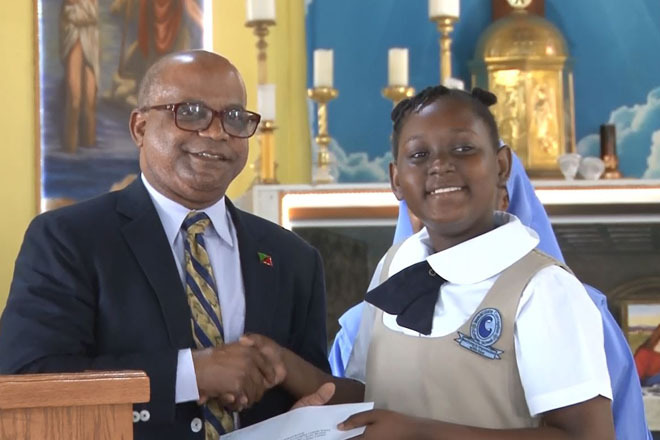 Arjenel Browne of the Immaculate Conception Catholic School is the third prize winner in the junior division of the Florida-Caribbean Cruise Association (FCCA) Foundation for the Caribbean 2018 Children’s essay contest. As a result, Browne and her school have won one thousand US dollars each. Primary and secondary school students from all grades in FCCA partner destinations were invited to participate in the prestigious FCCA competition. The FCCA is a non-profit trade organization composed of 18 member lines operating nearly 200 vessels in Floridian, the Caribbean and Latin American waters.